Pumpjack near Edmonton, AB on Treaty 6 Territory. Because our regulatory system has allowed for it, a disturbing pattern has emerged whereby extraction companies rack up huge debts, file for bankruptcy, sell their assets to the creditors, and shed any responsibility for the environmental wreckage they leave behind. Today's ruling will help break this cycle. As Mike D'Souza reported in the National Observer: "The case has sweeping implications across the country, related to growing liabilities in the oilpatch as more companies face bankruptcies due to unfavourable market conditions. In recent months, a range of stakeholders, including politicians, economists and environmentalists have questioned whether taxpayers would be on the hook for billions of dollars of financial liabilities left behind." This is a particularly important win in Alberta, where the case originated and where there are already over 450,000 abandoned oil wells. Recent investigations have revealed that Alberta’s liabilities from aging and abandoned oil projects are a staggering $260 billion -- not the $58 billion industry-sourced number that the AER has used in the past. While oil wells are the main active liability today, there are also few regulations to prevent active projects like oil sands mines from walking away in the future. Today's ruling is a great step but still leaves us with a broken regulatory system that has no way to recoup many of these environmental liabilities. Companies' assets at bankruptcy are often not enough to cover the full costs of clean-up for their projects. While a cleanup at the scale needed is a daunting problem, it's also one that's full of opportunity. The Council of Canadians is working with the Leap and Reclaim Alberta, a grassroots initiative that has a plan to make sure oil companies can't get off the hook for cleaning this up. The Reclaim Alberta plan prioritizes creating good jobs and making sure Indigenous nations have control over what clean-up looks like. It will also help make sure new projects that can't account for these costs don't go forward -- this would stymy most new oil sands developments, whose owners are making record profits off a regulatory system that doesn't hold them to account. Sign and share this petition by the Leap to help create a new, job-creating, polluter-pays standard for oil and gas clean-up. If you would like to learn more about Reclaim Alberta, we held a webinar last November which you can watch in full below. 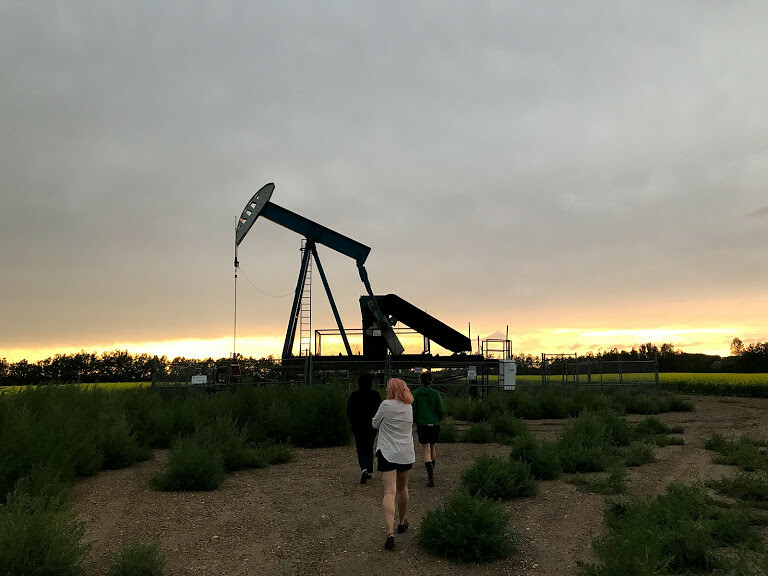 Regan Boychuk, whose research and advocacy brought the Reclaim Alberta project to life, chatted with us to summarize the problem, the plan, and how to get involved. By building a movement that takes on the world’s richest and most powerful industry, we can clean up Canada’s environmental legacy of poorly regulated oil and gas developments and bring workable solutions to the climate crisis. We can also help uphold First Nations treaty rights by making sure abandoned oil projects on their land are cleaned up, and that they have control of how and when the job is done. But we’ll need a lot of people working together to make it happen. Please take a moment to sign and share the petition, and then watch our webinar to hear more about how you can get involved.